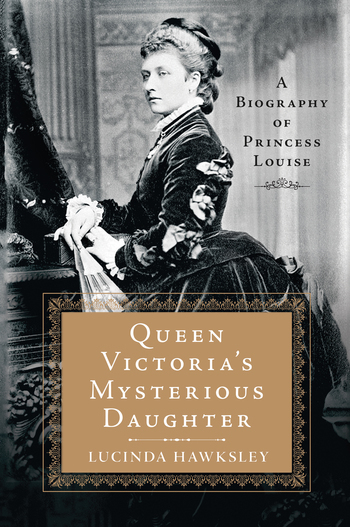 "It's these whispers that make Lucinda Hawksley's new biography such an intriguing prospect.... Satisfyingly replete with eye-popping stories of life at the various palaces.... [I was] caught up with this improbable princess, a beautiful, charming woman." "Lively, engaging and buoyantly enthusiastic, Hawksley's gallant but necessarily speculative book should encourage the royal archivists to stop being so protective." LUCINDA HAWKSLEY is a writer and lecturer on art history and nineteenth-century history. She has written biographies of the pre-Raphaelite muse Lizzie Siddal (Lizzie Siddal: The Tragedy of a Pre-Raphaelite Supermodel), Charles Dickens (Charles Dickens), and Katey, one of Dickens' children (Charles Dickens' Favorite Daughter). She is the great, great, great granddaughter of Charles and Catherine Dickens and is a patron of the Charles Dickens Museum in London.